Thank you for putting the story of Uncle Naga on record. It is only befitting that the story of this tower of strength of the Faith in Malaysia is recorded for posterity. As a child, I remember this lanky gentle giant with his rich baritone voice and majestic moustache as a regular visitor to our home as he was a good friend of my father. He was always kind and friendly with us children. Later, we heard how he resigned his job without his pension and moved to India to serve. After my father passed away, he would visit us whenever he could when he came back from India. I remember how happy I was to see him as it reminded me so much of my late father. I also remember thinking how funny he looked because he had adopted wearing Indian style clothes! At a Baha’i course on Devotional Meetings he ran while I was in Singapore, he told us of an incident that made him realise the power of the Faith and how he decided to become a Baha’i. Late one night, he was reading a Baha’i book as he was still investigating the Faith (he mentioned the name of the book but I forget which one) he suddenly felt his body floating in the air and could see himself looking down at his desk, the chair and the book and the open window by his desk. After some moments, his body returned to his seat and he was back in his place in his room. That supernatural experience made him convinced that he was dealing with a power that was other-worldly and convinced him to declare as a Baha’i. He also told us that while he was fluent in the Tamil language, he did not think he had the knowledge of the language and capability to translate the Kitab-i-Aqdas. But once he started to do it, he felt himself possessed of such power and knowledge of the Tamil language that he was able to translate it befittingly. Thank you once again for a lovely and moving recollection of another indomitable pillar of the Faith in Malaysia. My heart blows with joy, and my eyes want to tear when I think of our dear Uncle Naga’s exemplary life of service and sacrifice. I beseech God to bless his radiant soul and soar it to the highest realms of the Abha Knigdom. It was in December 1965 when I first met him in Alor Setar. Then I was a youth of 23 that lived in Laos that traveled from Laos by train, bus and hitchhiking reroute to Malacca to attend my first summer school in Malaysia. Uncle Naga, a school headmaster in his early thirties, tall and slender with a permanent smile that broaden his face and welcomed me. I thought he was a blessing from God on earth the moment I laid my eyes on him. He related how he was an atheist saying “he didn’t bother God neither God bothered him” but after accepting the Faith he said Baha’i Faith had broaden his vision about the life of service, a subject that had occupied his mind for years before he heard about the Faith. 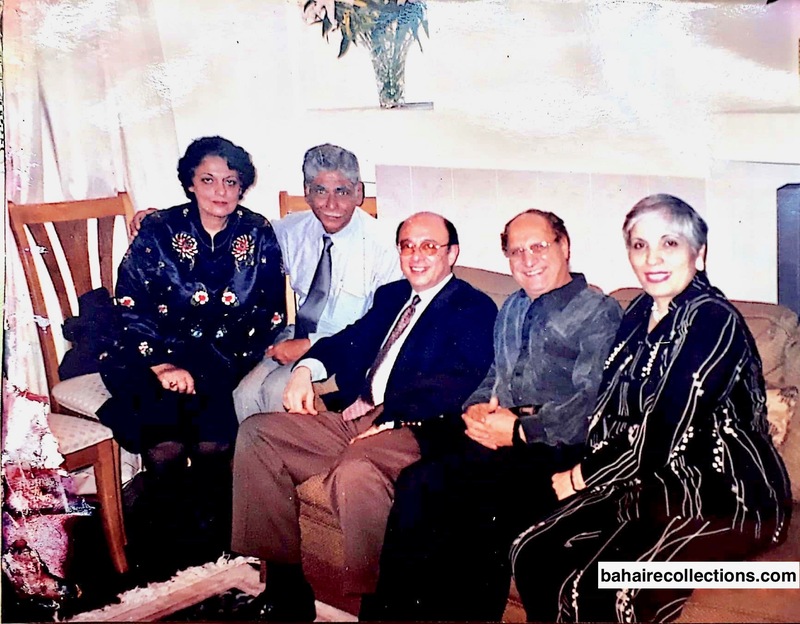 I met Uncle Naga many times in Malaysia, Thailand, South Korea and China as he came to visit us with Sammi, encouraged and deepened our understanding of the tenets of the Baha’i Revelation. Uncle Naga was a well-read and thoughtful person. You have rightly mentioned that in Korea he gave us a workshop on the subject of Meditation over sixteen hours in five days, and the importance of saying the Baha’i daily prayers and the recitation of 95 times Allah’u’Abha each day. He was totally against man made meditation practices which to him were like a drug with no clear objectives. We offered to take him to sightseeing but Uncle Naga was not interested instead, he liked to see the Korean Arts and obtain information about the Korean tradition and culture. I can never forget he and Sammi visiting us in China in 2001. Sammie comes from a noble Baha’i family in Tehran. 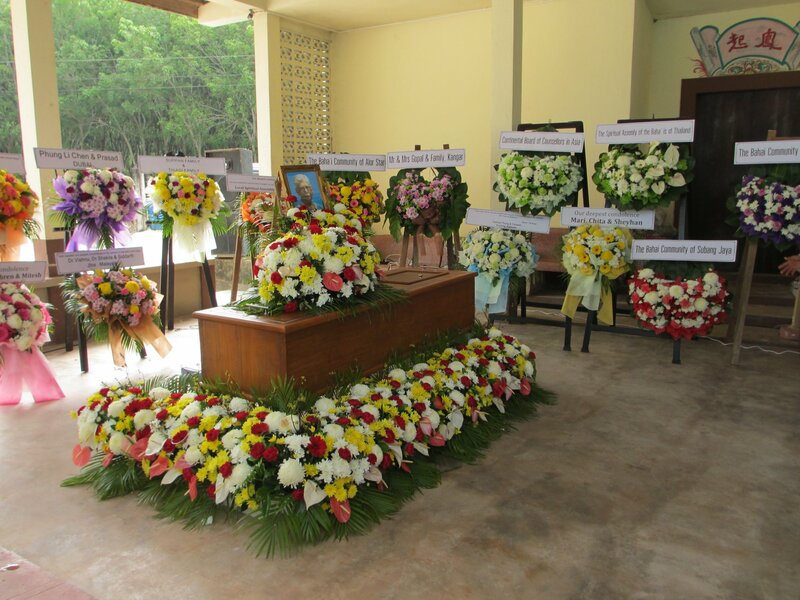 Sammie pioneered to Thailand and served the Faith with utmost zeal and steadfastness. Since both Uncle Naga and I had served at one point on the Board of Counsellors we often exchange thoughts about teaching and proclamation activities and the upbringing and preparing of children and youth for their future services to mankind with providing updated deepening materials. For parents in particular to learn about parenting based on the Baha’i teachings and principles of education and of strengthening the foundation of the family since the statistics of separation, divorce and the premarital couples living together was on the sharp rise. We even went ahead and made notes and drafts on those subjects. It resulted in the publication of “Tips on Parenting and Child Education” in English and Chinese in China inspired by Uncle Naga the book I humbly wrote in 2002 that was reprinted twice and used by various institutions in China. Nine days before Uncle Naga passing away we received a SMS from Sammie that Uncle was very sick and in hospital thereby requesting the friends to pray. We received another message that Uncle Naga had taken his flight to Abha Kingdom. I immediately made the travel arrangement and because I could not succeed to fly directly from Chiang Mai to Hadyai I took a flight to the nearest point Penang and from Penang made my way by minivan to Hatyai the day before the funeral. During the funeral as I remembered Uncle Naga’s passion and ardent desire for teaching the Faith, I kept praying and asking him to intercede with God and ask for God’s favor and mercy for teaching of the Faith in both Thailand and Malaysia where he had spent the most of his life. At night after the funeral I was still immersed in the same thought I went to sleep and in a dream I saw the Hand of the Cause of God Dr. Muhajir that appeared with a joyful face and told me “go out to the garden and pick up the fresh vegetables”. I did that and suddenly woke up. To me the meaning was obvious, there are ready souls to be found and be taught. How strange, I thought, I ask Uncle Naga for help but he sent our teacher Dr. Muhajir for guidance. Very dear friend, Manisegaran Amasi. Thank you most sincerely for so kindly sharing with me the Baha’i life story of my dear counsellor colleague and friend, Counsellor Naga. It brought back to me the happy memories when both of us were serving as Continental Counsellors in Asia and the Pacific Islands, particular our joint mission in Sri Lanka in 1986. I will be grateful if you kindly convey the heartfelt condolences of my wife, Lily Ayman, and myself to our dear friend Sammi. How wonderfully and with accuracy and the real spirit of Naga you have presented his Baha’i life and service! It is indeed one of he best accounts ever written on our Malaysian greats. Your ability and research skills have really risen to the top. Both Sitara and I were moved beyond words. I remember meeting Naga first in 1963 when I visited him in his Sultan Abdul Hamid College Quarters where he was residing. He then took us to a believer working in a saw mill. Our friendship bloomed since them. When I was Principal of the New Era High School in Panchgani, India, Naga used to visit us often. I cherish the lovely conversations we had on the Faith. 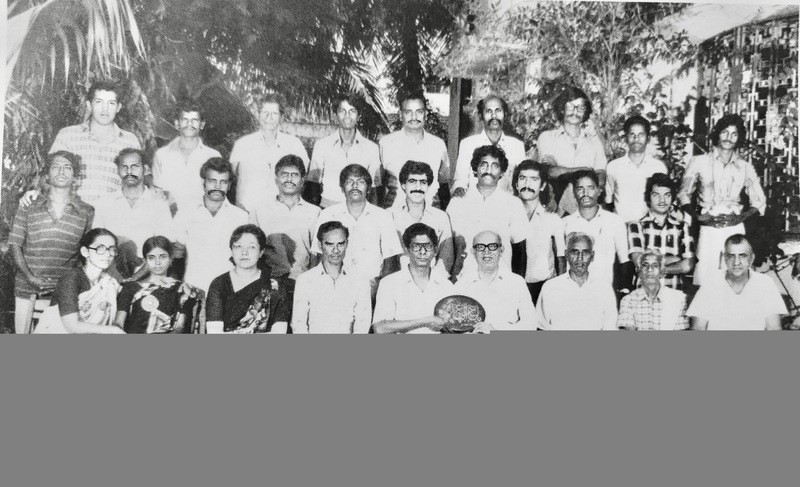 The spirit of Naga is still with us and I can fondly hope that one day we can stat something in Tamil Nadu along the lines of the South India Teaching Project which Naga helped to begin in 1977. I am getting old and physically weakened, but the spirit of Naga brings life to our hearts. His India days can be written by someone who was in India at that time. I had gone to USA from 1973 to 1977 and am searching for some papers that can be useful. But they were all kept in Chennai where Naga lived. I thought I could recall somethings but it is not easy without the sharing of past activities with someone who also participated in them. Along with your accounts of Inbum, this article is the very best I have read. Thank you for the story on Uncle Naga, which takes me back to those nostalgic days. 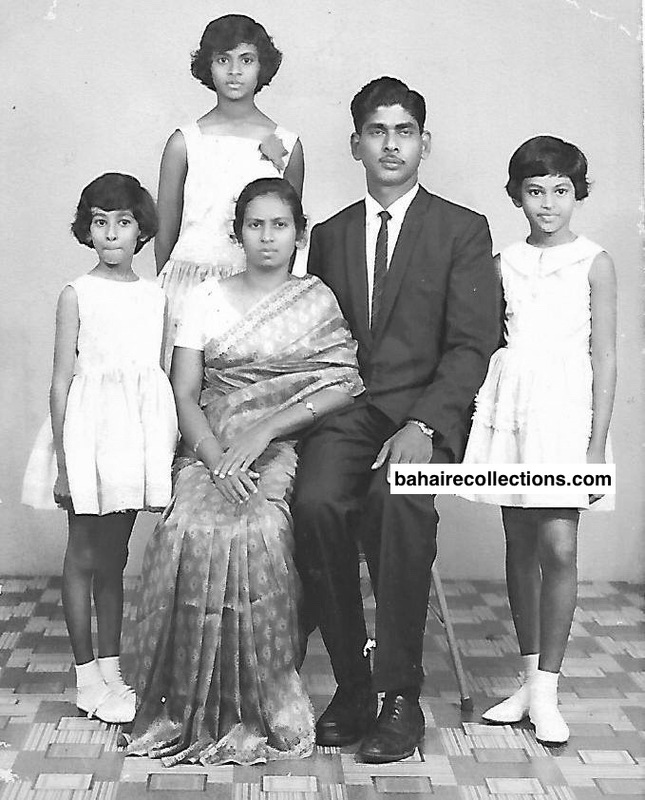 Most of my recollections of Uncle Naga are during the early years of my Bahai life as a youth in the 1960s in Alor Star, our home town. 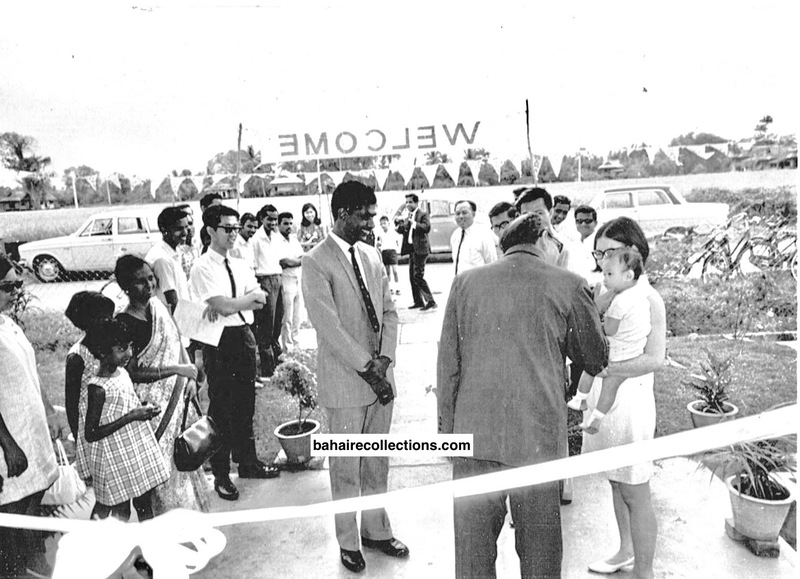 I remember that even before I declared as a Bahai I had attended one or two firesides at the Alor Star Bahai centre where Uncle Naga spoke about the Faith. His answers to several questions left an impression on me. From the time I signed the card and became a Bahai in 1964 till my university years (1972) uncle Naga was among seveal people who had a significant impact on my life. 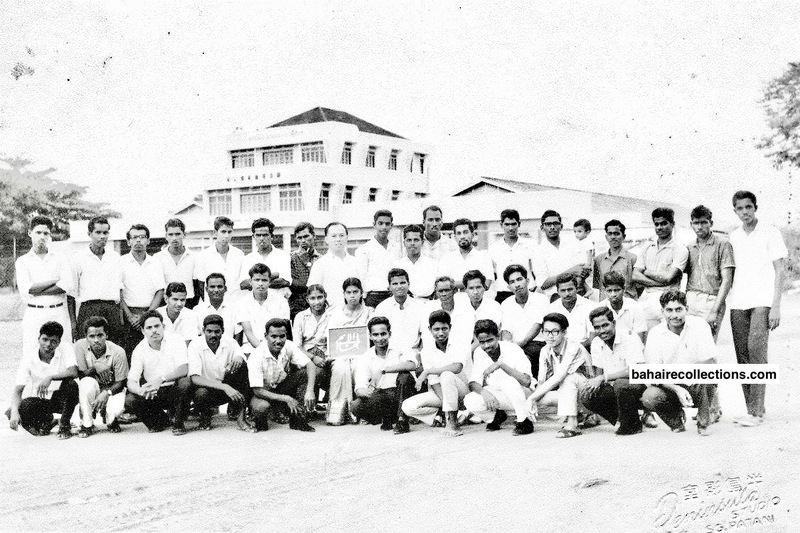 During those early years the Bahai youths of Alor Star were very fortunate to have a person like Ucle Naga as our mentor and role model. 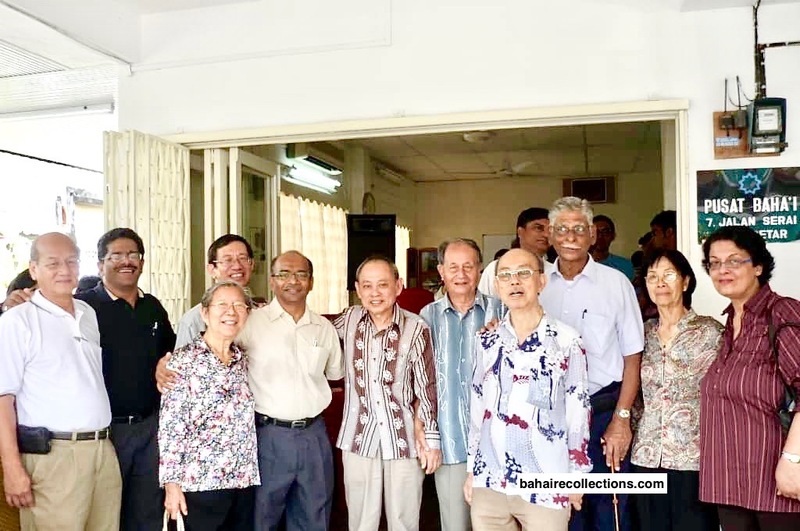 Almost on a daily basis we would gather in the evenings at the Bahai centre eager to attend the deepening classes conducted by Uncle Naga and assisted by other key believers like Uncle Mei Siew Hong, Uncle Phung and MS Maniam. In particular, it was Uncle Naga who instilled in me the love for studying the early history of the Faith and to derive inspiration and strength from it. Being a teacher by profession, uncle Naga kept our interest alive during the deepening classes by posing thoughtful questions and giving interesting analogies to help in our understanding of concepts and principles. In addition, his sense of humor made the deepening classes interesting. 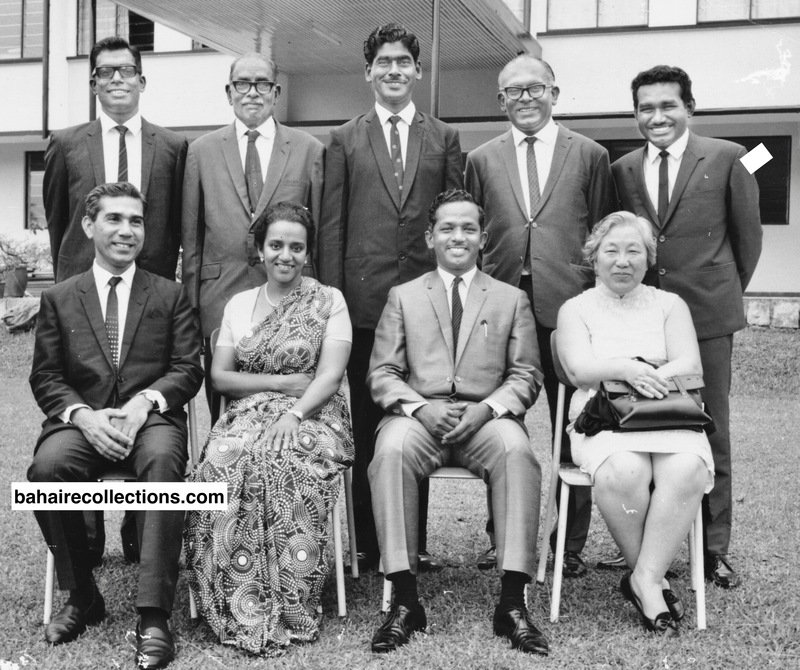 Apart from the deepening classes, other memorable times with Uncle Naga during those early years were the many teaching trips I went along with him to the rubber estates and smaller towns in my home state of Kedah. Almost every week end we would go on these teaching trips and indeed they were learning moments for me. Watching Uncle Naga’s approach, tact and his way of answering questions raised by difficult inquirers under various circumstances was what gave many of us the courage and boldness to teach the Faith with passion during our early years as a Bahai youth. Each teaching trip became a practice session for the youths and travelling in Uncle Naga’s car during these teaching trips was real fun with his humor and at the same time enlightening as he would share many stories of the Faith with us. Though in appearance he looked a very strict person, yet he was very supportive and caring and empathised with the youths who came from different backgrounds. If there is one unforgettable incident in my life with Uncle Naga, it was a very insignificant moment and yet one that left a lasting impact on me. In 1971 my father passed away. During the burial, as I was standing in tears watchinG my father being laid to rest, an arm hugged my right shoulder and gave me a gentle embrace. It was Uncle Naga. At that moment of despair, his hug and embrace was so very reassuring and I felt that I could face the life that was ahead of me. I enjoyed reading every word of your story on Naga. My late husband and I had known Naga from the time he accepted the Faith in 1963. I had seen him at Bahai gatherings and have conversed with him. I knew him as a very good friend of Inbum, but I did not know him very well personally. I had listened to his talks and found him very knowledgeable in the Bahai Faith. He used to visit my home, but when he came, he was always talking to Inbum and sharing Bahai information. They became very close friends , especially when they were both serving on the National Spiritual Assembly of Malaysia. I thought I had known him fairly well. It is only after reading your story that I have to confess that I had not known him that much. It is your story that brings to the fore the minute details of the life and legacy of Naga. I did not know Naga was such a talented man, so fluent in both Tamil and English languages. Whatever the friends want to know about Naga, these facts are all in your write up oñ the life and Bahai service of Naga. No one could have done a better job than you, Mani. This is not a mere praise, but having read your other books and stories in this blog, I have to say this with all honesty and sincerity. Dr. Vasudevan from India too has stated to this effect in his comment. You wrote about Naga’s life in such details that anyone reading it would be greatly inspired. Thank you for sharing such a beautiful write up on Naga. In fact I read it twice and both times sure inspired me. May Bahaullah grant you all the health and good memory to continue writing on the several aspects of the Bahai history and biographies. At the evening of my life, these are the stories give me so much inspiration that I need most. Thank you for uploading the lovely story on Uncle Naga. Naga shares a special connection with me, because I was his student in College and one of the early youths in Alor Setar who must have given him considerable anxiety! I was a radical student in school and among the unusual things was, I left upper six third term to pioneer to Sri Lanka. Unheard of in those days. I also remember another occasion when we went teaching. I was a pillion rider on his motorbike coming back late one night when we had a bad accident, knocking into a dog as it rushed across the road. I was thrown across the road and broke my collar bone and he was almost blinded, having a deep gash on his forehead. My mother was very concerned. The school and everybody in the small town must have in some way associated Naga with such happenings! Notwithstanding his strong union background and strong grounding in Hindu Dravidian learnings, he was able to discover the Light of Baha. He steadfastly served till his last days in His noble service. 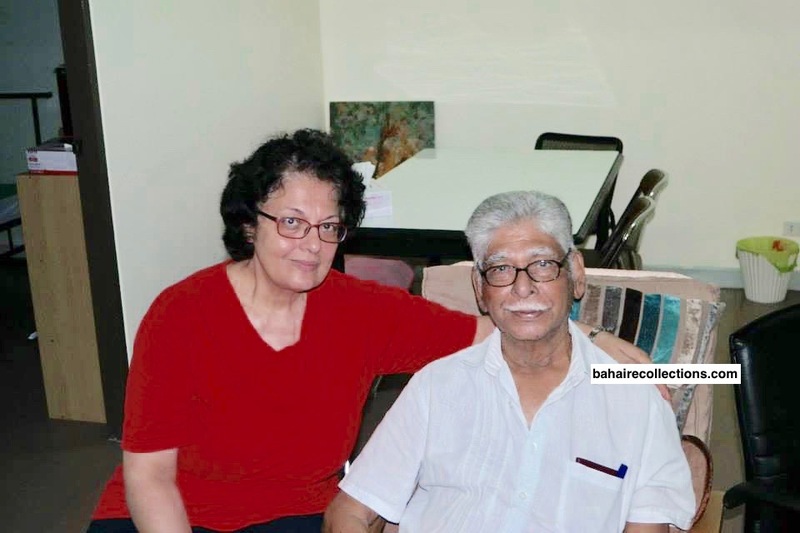 His personal heart ailment and loss of Aunty “Baby” through cancer did not stop him from serving on both NSA and the Continental board of Counselors for Asia and pioneering to India and other countries. He devoted every ounce of his energy in translating the Holy Writings with the help of a few others for which the Tamil reading believers would be forever grateful. What would this “Warrior” of Baha have liked me to say? That we should teach, as he had taught. Pioneered as he had pioneered. Moved out of our comfort zone, as he had to less developed communities. Beloved Naga left us with such a rich legacy of teaching, pioneering and translation that the best way of remembering him would be to follow his exemplary footsteps. Thank you so much for writing about Uncle Naga. This story of yours has brought so many wonderful memories about Uncle Naga. May God bless his soul. It’s truly my privilege to write about our beloved uncle Naga who was so dear to me and my family. 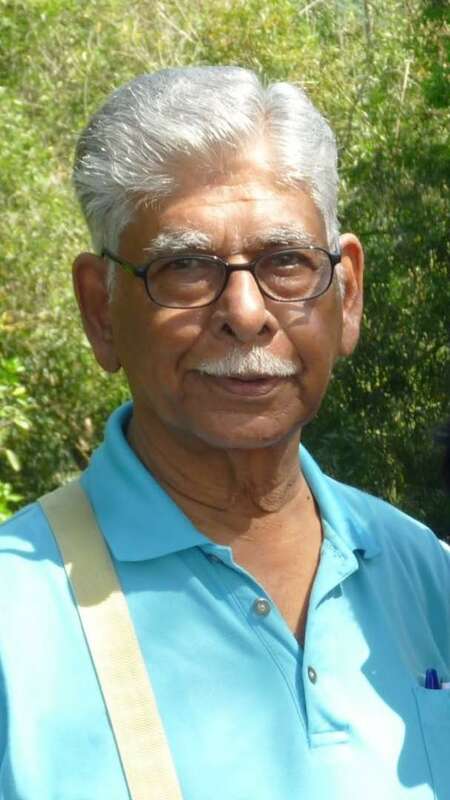 He had played a crucial role in my development as a Bahá’í during my time in Sungai Petani and therefore I am proud to consider him as my spiritual guru. His deepening classes on every Wednesday on the Holy Writings and especially the Kitáb-i-Aqdas were significant in the spiritual boost and development of the believers. Consequently, I undertook pioneering to Cambodia in September 1994. It was through these classes that my fiancée has accepted the Faith. We have both benefitted from his personal and spiritual advice and guidance. As you have correctly highlighted, uncle Naga served with a spirit more than his physical strength. One day he would be down with sickness but the next day he would wake up and hit the ground running like a warrior. He was an extraordinary human being, full of positive thinking and sincere love for everyone. He was also very eloquent in Bahasa Malaysia. During my brief period with Rohini Sdn. Bhd. Back then, I used to do verbal translation from Tamil and English into Bahasa Malaysia upon request. I had consulted uncle Naga for certain terminologies in Bahasa Malaysia on many occasions. 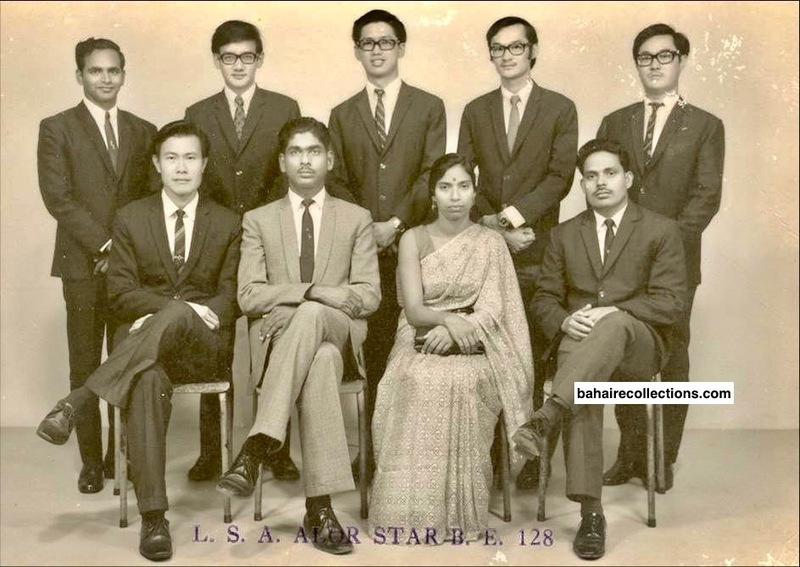 During my time in Sungai Petani, I also had the privilege to serve in the Choo Yoke Boon Institute Committee with uncle Naga being the Chairperson and I served as its secretary. I was the only young adult in that Committee! That was when I had truly learned to do the minutes of the meeting. Uncle Naga always targets me at the meeting by asking me questions each time we meet – and I would shiver. It was only later I realized that uncle Naga was preparing me for the pioneering field. Uncle Naga had also visited Cambodia with his wife Sammi at least at two occasions as I could recall. He came to visit the friends and to conduct deepening classes. Uncle Naga loves Tamil chanting and requested me to chant Tamil prayers. During the meeting, he had extended his usual guidance and counseling to the pioneers. It was sad that after his last trip to Cambodia, I never get to meet him again as I was away in Africa due to my work but always get updates about him from visiting friends. It is beyond any doubt that Uncle Naga is certainly one of the greatest legends of our time!